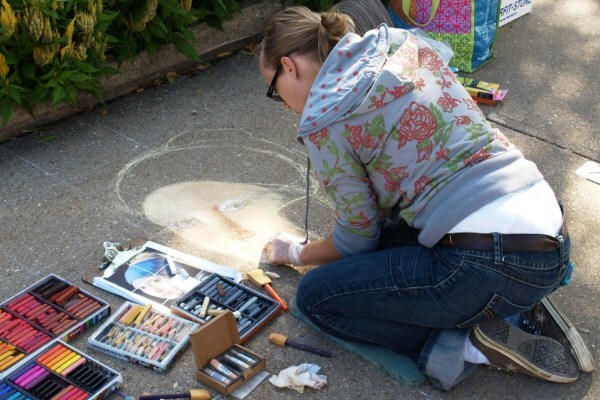 This event features a sidewalk chalk art creation by a professional street artist, Leigh Alfredson (a.k.a. 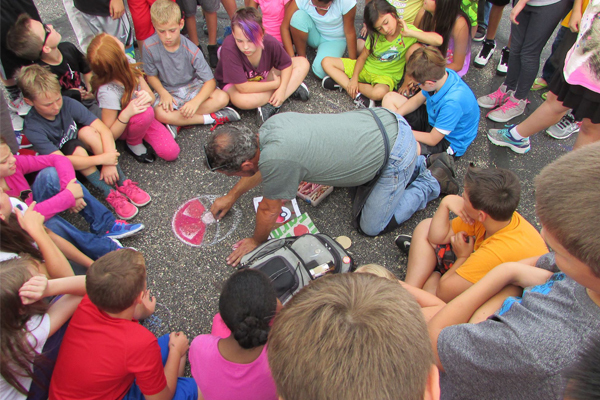 Lee Jones) and a sidewalk chalk art and plein air painting competition. Come down to the river walk, see the beautiful drawings and chat with the artists! Artists can work from 9 AM on Saturday to 2 PM on Sunday. The theme for 2018 is Janesville, Wisconsin's Great Outside. 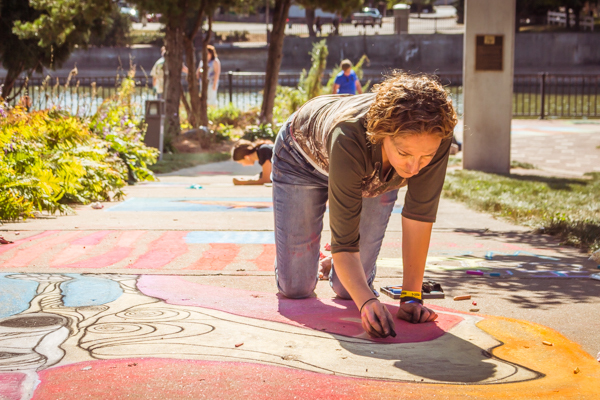 Competitors should create a sidewalk chalk art mural or a plein air painting that highlights outdoor activities, places, events, outdoor scenery and/or beauty found in Janesville. Plein air artists will focus on downtown Janesville. Sidewalk chalk and plein air artists of all skill levels are invited. There is no fee to draw a chalk mural or create a plein air painting for fun. To participate in the chalk art competition, register at the event and pay a $12 fee, which includes chalk pastels, sponge and gloves. A $150 cash prize will be awarded to the overall winners in each age category (ages 7-12 and ages 13 and up) in the chalk art competition. There will also be a $150 grand prize for plein air artists of all ages. The registration fee for the plein air competition is $5 and does not include art supplies or materials. Registration will be available at the event on Saturday from 9 AM until 4 PM and from 10 AM until 1 PM at the event on Sunday (cash or checks accepted, no credit cards). While you're at Art Infusion, take advantage of the Janesville Farmers Market on Saturday (8 AM - 1 PM) on Saturday, and live music (11 AM - 2 PM) on Sunday, with event competition prizes being awarded at 2:30 PM. Click here for a PDF of the competition guidelines and rules. 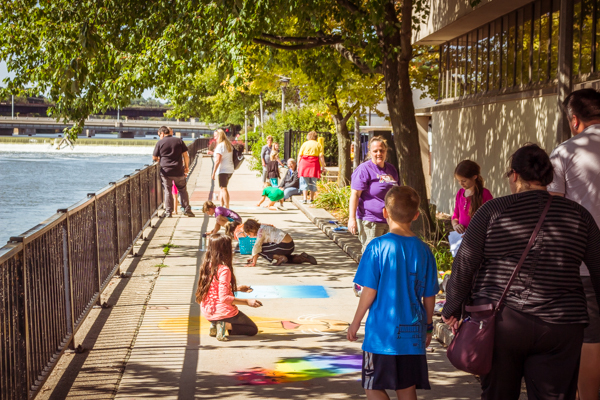 DUE TO HIGH WATER AND POTENTIAL FLOODING, ART INFUSION WILL TAKE PLACE ACROSS THE STREET AT MAIN ST & WALL ST, BY BMO HARRIS BANK.